Freddy’s opens on 31st street! 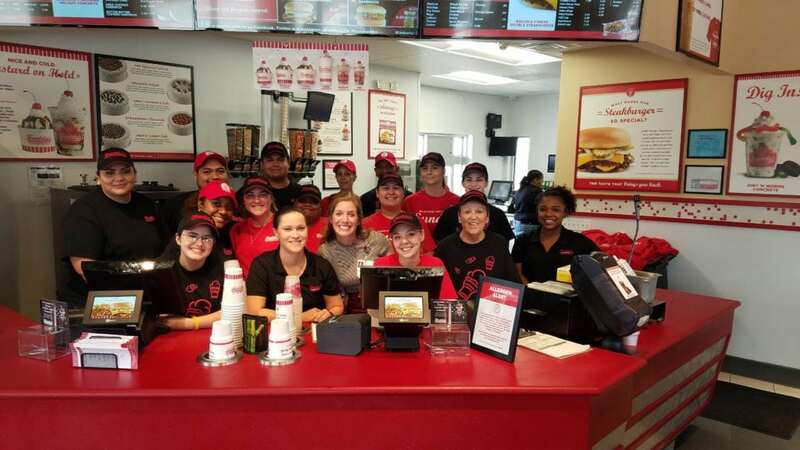 Freddy’s celebrated it’s grand opening for it’s 31st street location in Temple on September 27th, 2017. They distributed invitations all around town with help from the Teen Advisory Board at McLane Children’s and offered free meals in exchange for a donation. The staff was super friendly and the community was excited to come out and support. They raised a total of $637.40 for the Teen Advisory Board’s Extra Life efforts. This amount will go toward the purchase of life-saving equipment for their hospitalized peers. Thank you Freddy’s for your support, and congrats on the new location! Next post: Smith Dairy Queen Golfs for Kids!